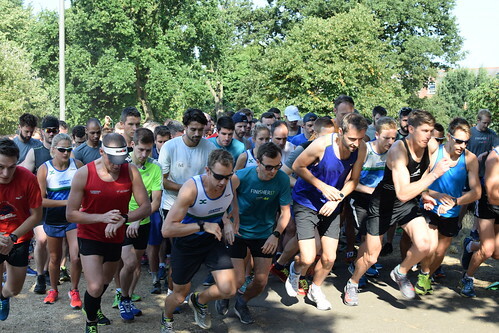 A freezing October morn saw a fantastic crowd of 572 hardy souls brave the Tooting Triangle. 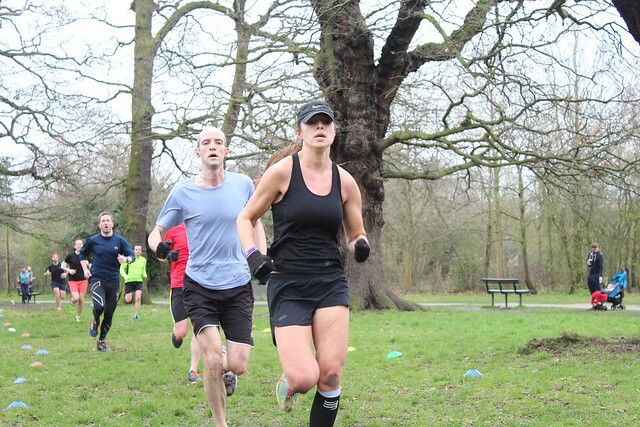 81 were Tooting first timers and 34 were running their first ever parkrun. 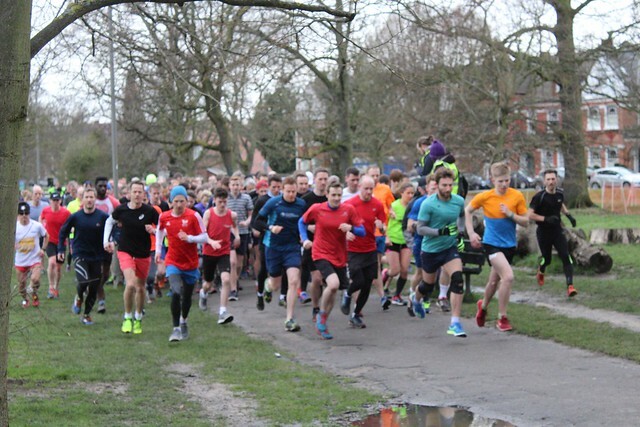 A huge number of 104 recorded new Personal Bests, and representatives of 33 different clubs took part. 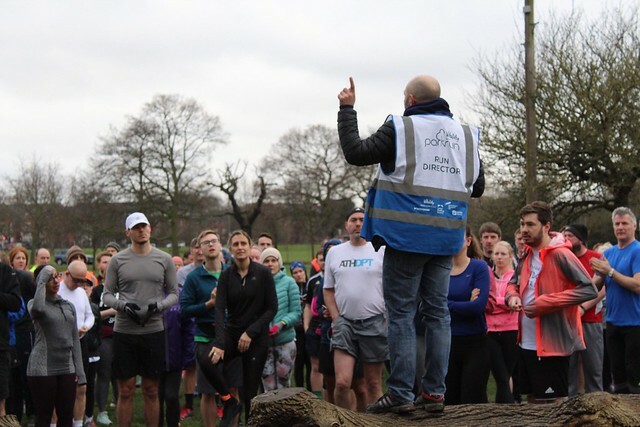 Unfortunately we also had 75 unknown runners who were either chose not to record their time as they were disgusted with their efforts, or more likely, forgot their barcode. As always, DFYB! 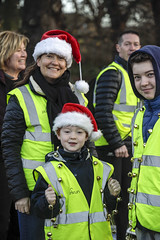 A huge thanks to the 34 volunteers who have up their time (as well as their fingers to frostbite). 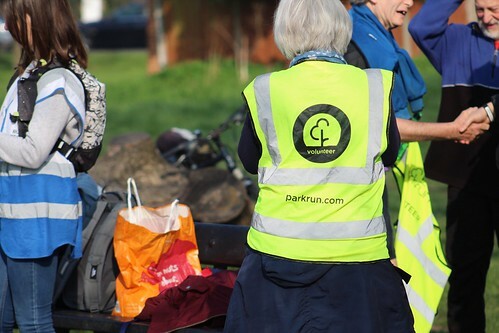 There are quite a few empty spots on the volunteer roster in the coming weeks, so please get in touch with tootingcommonhelpers@parkrun.com if you are willing to give up your time for a very worthy cause. 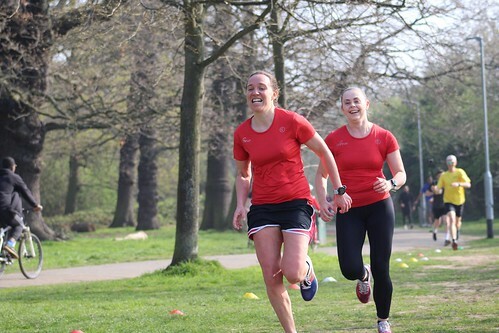 What I love about parkrun is the huge mix of abilities and the huge range of ages that it attracts. 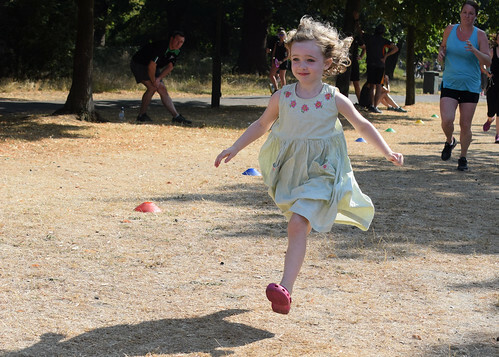 This week, I'm going to highlight the performances of a few of our younger athletes as I wish parkrun had existed when i was a wee nipper - television hadn't been invented then so it would have been nice to have something like parkrun to keep me off the mean streets of, erm, Sussex. Esme wisely steered clear of a pre-race breakfast of Fillingham, as that extra weight would not have allowed her to romp round the course in a lightning 20:38. In Easter week, it was somewhat fitting that monsoon-like conditions of biblical proportions during the week had flooded the back path, rendering it almost unplayable; I was half expecting a plague of locusts to appear. 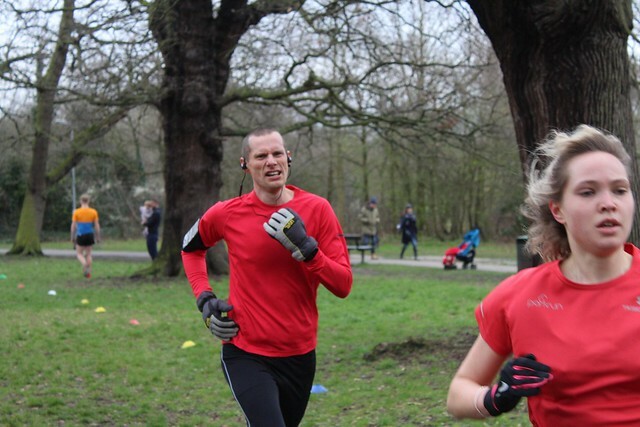 But we parkrunners are made of sturdy stuff and 248 of you admirably ploughed on through the mud and puddles. And, as always, this would not have been made possible without our 25 wonderful volunteers this week - thank you. 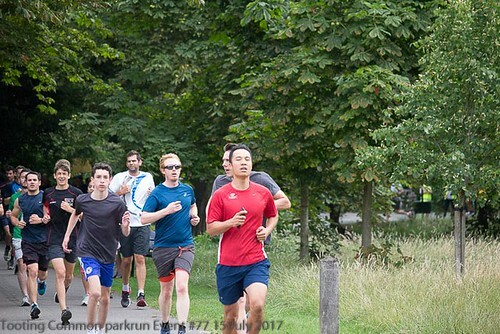 This week we had 11 first timers and 12 runners who have completed over 100 parkruns. 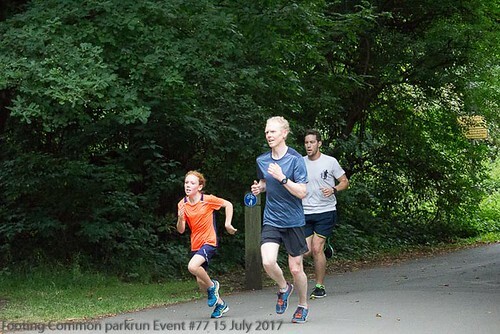 Age categories ranged from JM10 right up to VW75-79, proving that parkrun really is inclusive! 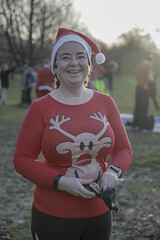 One of my favourite aspects of parkrun is the achievement of milestones. 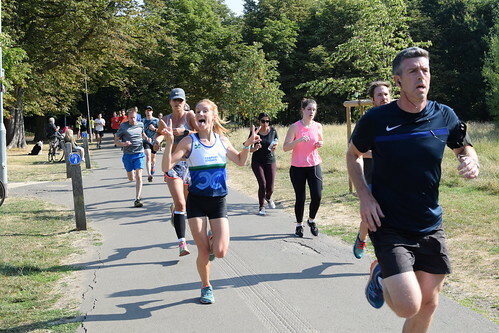 And this weekend, the Tooting Triangle laid out the milestone welcome Matt to a certain Mr WALSH who notched his 50th parkrun, all at Tooting! 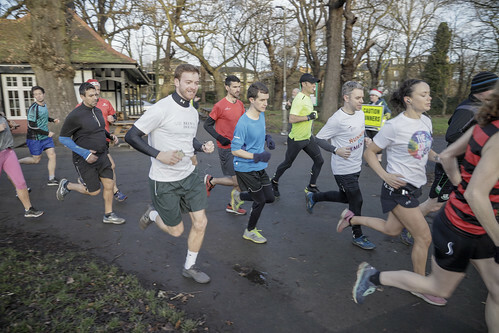 Andrew CRAVEN: Craven's performance is certainly worthy of making this Newsround: All of his 16 parkruns have been at Tooting and, despite this being his first appearance in 10 months, he managed to take 20 seconds off his previous best. 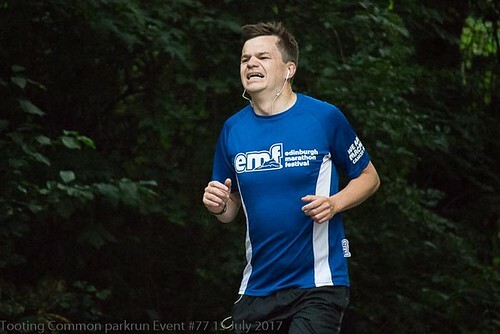 Finn FROOME-LEWIS: Finn suddenly appeared menacingly above the surface water and drew screams from his fellow parkrunswimmers as they scattered out of his way. He took a large bite out of his previous PB. As a mere youngster he will only keep getting quicker. 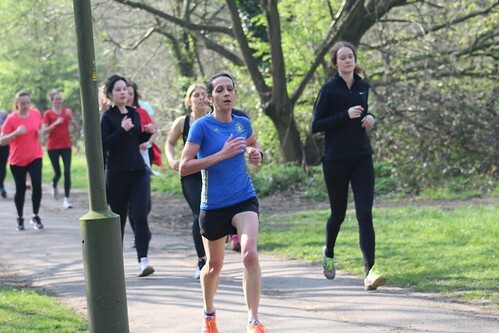 Sarah HIRONS: An excellent PB for Sarah. Like all good runners, whenever she is not happy with a time she Hirons out any creases in her training plan and has now reaped the rewards! 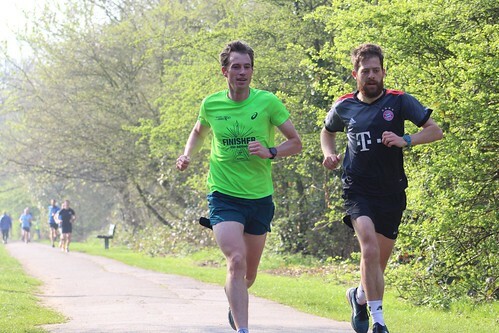 ALLEN has found the key to parkrun success, as Tobias was this weekend's first finished in a rapid 18:20, just 1 second outside his Tooting best. Second over the line was an unknown (DFYB!). First timer Ryan managed to RUSSELL up an excellent third finisher position. It is very apt that this religious weekend saw Hannah LORD as the first female to cross the line. She credits her success with having a meal of sausages, bacon, eggs and hash browns the previous evening - sounds like a Good Fry-Day! 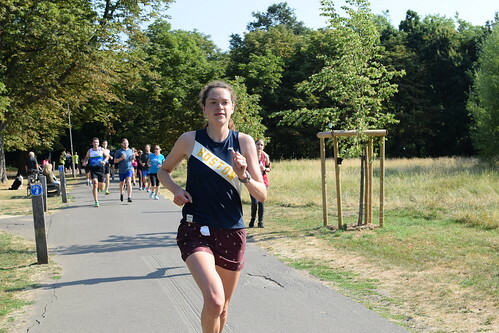 Third finisher was Alexandra MCCLELLAND in 21:51 - A palatial performance by Alexandra. That's your lot for this week. 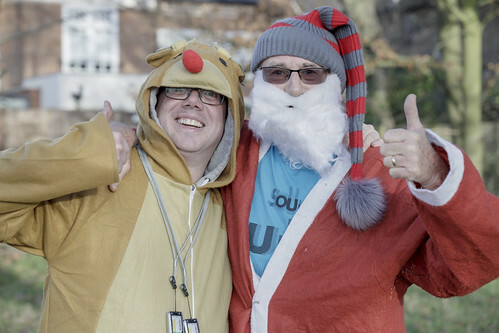 Thanks as always to our wonderful volunteers and see you all this coming weekend for #111! Excellent conditions for running saw 516 eager beavers line up at the start, ready to tackle the terrific Tooting Triangle. 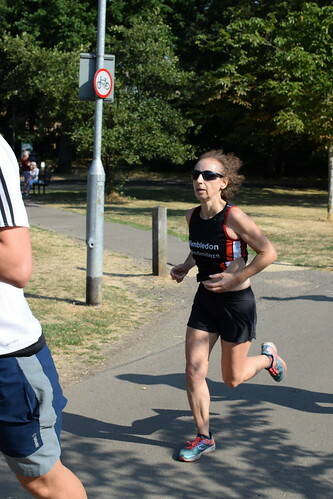 And many of these beavers put in dam good performances, gnawing away at their PB. 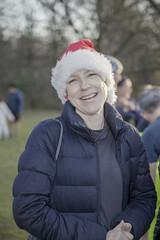 In fact a huge 122 runners (24% of the field) achieved a PB. I think some of these deserve a special mention. 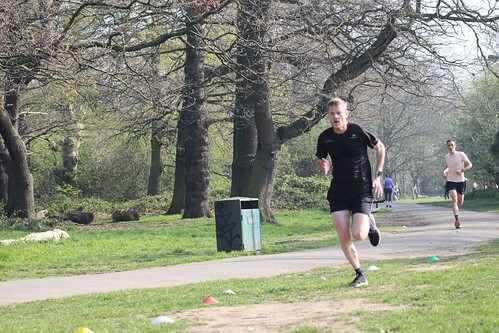 Andrew Theedom: Andrew achieved an excellent new PB in his 99th parkrun. Just one more run to go until the big 100 and, if he manages another PB then, it's quite possible that he will be given the Theedom of the Tooting city. 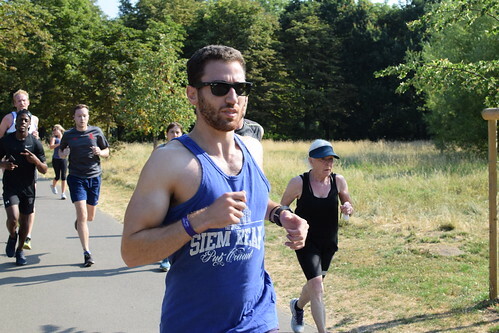 Simon Lewis: Simon is one of the key members of the Tooting Volunteer team and it is excellent to see him get the opportunity to run for the 16th time here. And Lewis didn't just take a MORSEl off his previous PB, no he demolished it by almost a minute! I would like to take this opportunity to urge everyone to take a turn volunteering as many of the core team are also keen to run on occasion! 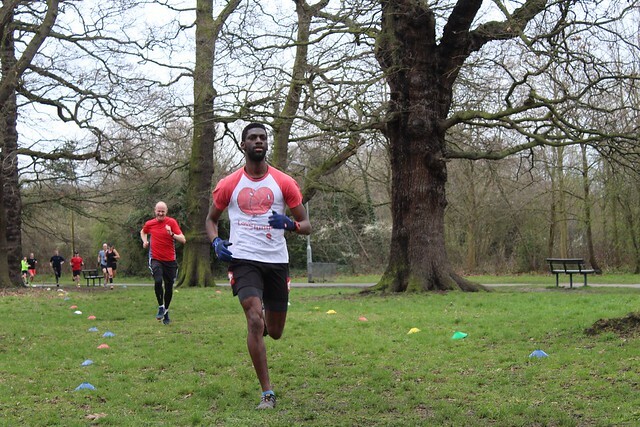 Maurice Sharp: Maurice is in the 70-74 age category and produced a Sharp performance to shear quite a few seconds off his previous PB. 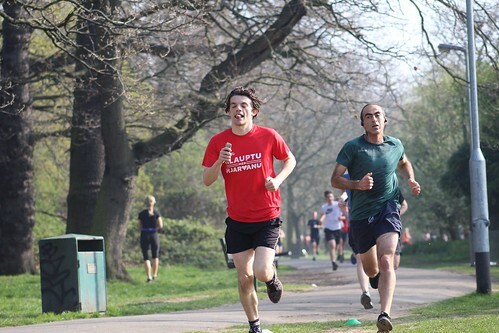 This shows that age is no barrier to parkrun improvement! 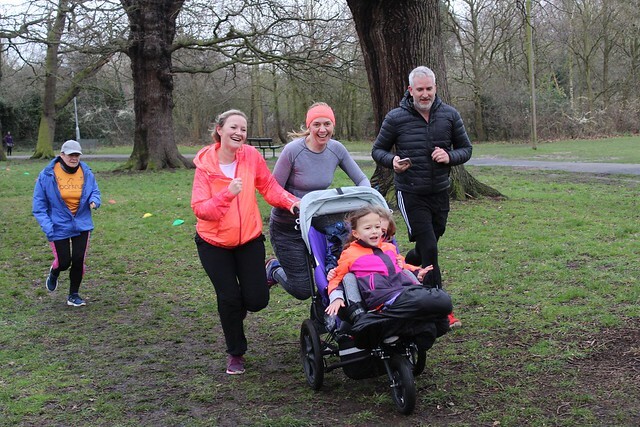 What I personally love about parkrun is the community feel, and the fact that people of all abilities and all ages can enjoy it. 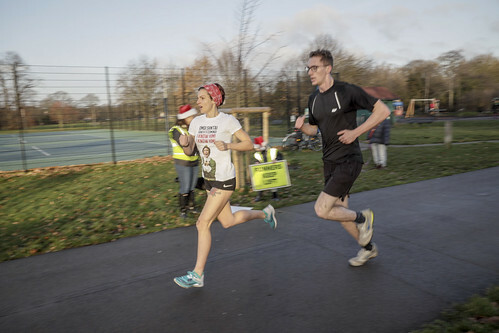 Maurice was joined by Steve Newell (272 parkruns) and Suzanne Attwooll (247 parkruns) in the 70-74 category. At the other end of the age spectrum, I was delighted to see that we had 10 runners in the JM10 category. 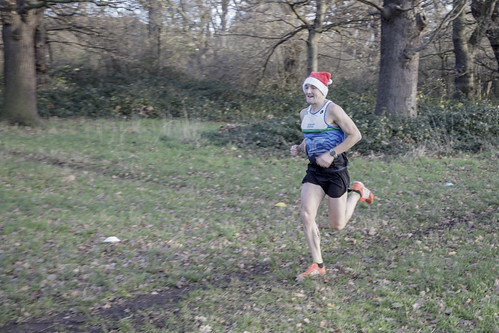 The fastest of these was Freddie Hake in a rapid 22:33 - Freddie certainly won't be having nightmares about his performance, as Hake proves that he is not a fish out of water in the adult parkrun events. Some more stats for you. 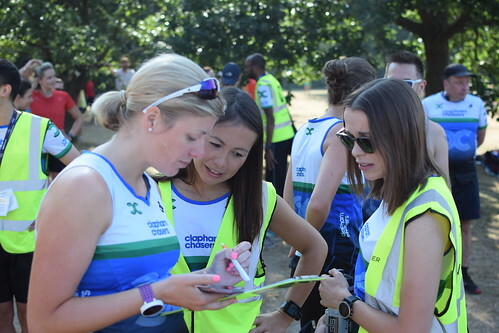 Tooting #77 saw 516 runners complete the course (12th highest) and 31 different running clubs represented. 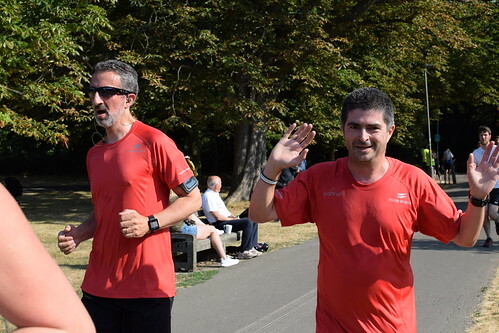 One runner, Pawel Kasprzak, achieved an official milestone as he completed his 50th run - nice one Pawel! 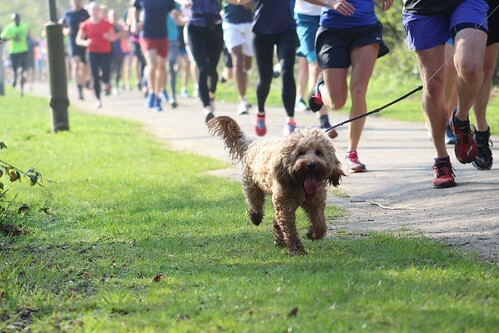 This week saw 71 unknown runners (14%) pop up in the results and so this is the perfect opportunity to remind you to DFYB! 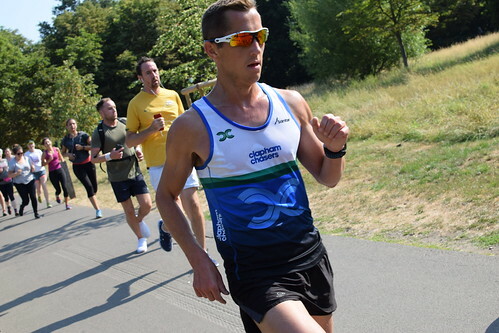 Paul Martelletti was first finisher in 15:29: Martelletti will certainly not be aPAULled by his run as he continued his 100% first finisher record at Tooting. 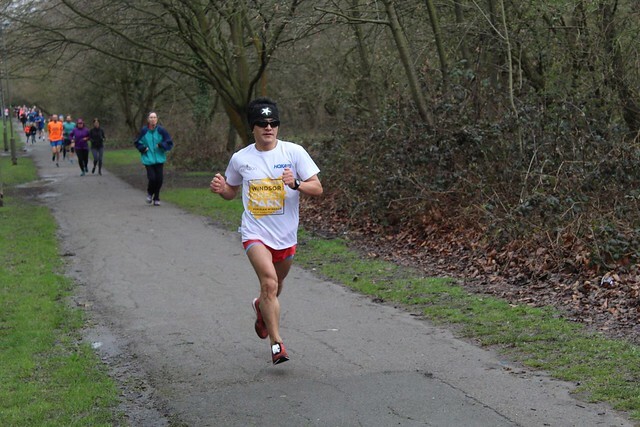 Hugh Tibbs was second finisher in 16:55: Hugh flew at the end to take this position. Close behind as third finisher was Ben Hudson in 17:03: Hudson swooped like a Hawk to take this spot, confirming that he is a talonted runner. Paul MARTELLETTI (VM35-39) – 86.22% for the time 15:29 (1st overall). That's your lot for this week. 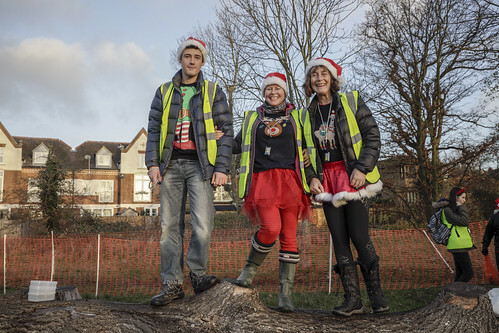 Thanks as always to our wonderful volunteers and see you all this coming weekend for #78!